We upgrade your smile and keep true to the real you. 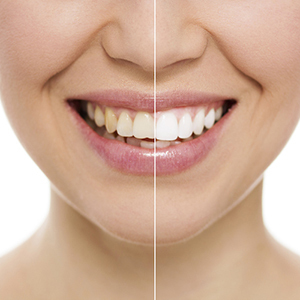 Veneers may improve teeth that are badly stained, shaped or crooked. These thin pieces of porcelain or plastic cemented over the front of your teeth to change their color or shape. We will take a mold of your teeth to ensure the veneers look natural and then place veneers on the tooth surface, all the time assessing the shade and color. Veneers can truly revolutionize your smile in one appointment. Have you ever wished that you could have straight movie star style teeth, but without the hassle and embarrassment of braces? Thanks to new Invisalign® clear aligners that wish can come true. Invisalign® uses a series of bespoke aligners to move your crooked teeth gently into position. Each set of aligners last around two weeks and doesn’t disrupt your life at all. 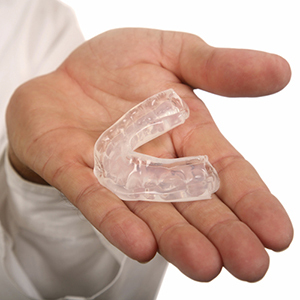 Our 3-D technology creates the aligners and then you just simply have to wear them to straighten your teeth. Over the years, whitening has proven to be the indisputable way to brighten your teeth and remove common stains and discoloring. The most effective and safest way to improve the color of your teeth is to undergo professional teeth whitening at a dental office such as ours. This form of whitening produces glowing results that can last many years. A bridge is a natural-looking, custom-made dental appliance that can replace a section of missing teeth. 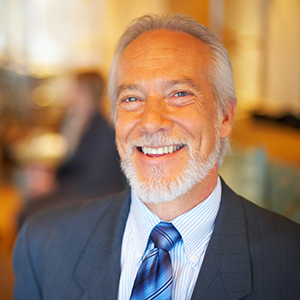 They are sometimes referred to as fixed partial dentures and are made of durable porcelain. This method of tooth replacement is hardly noticeable and comes in various forms. Speak to our team about the best option for you. 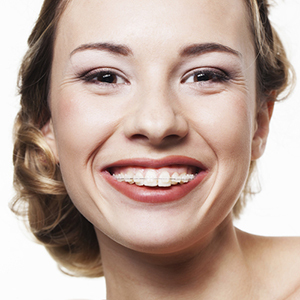 Sometimes the thought of wearing braces for years can seem both daunting and a bit embarrassing. That no longer needs to be the case thanks to Six Month Smiles®. This modern twist of tried-and-true orthodontics does exactly what you’d expect it straightens your teeth in around six months. Six Month Smiles® achieve this safely and painlessly using clear brackets and barely visible wires to accomplish the same as traditional braces, but in a shorter time. Did you know that Botox is the only approved treatment for temporality improving the appearance of frown lines between the brows and crow’s feet lines in adults? It’s true, which is why we use it to refresh your face at K&L Family Dental. This treatment targets an underlying cause of lines i.e. the muscle contractions. We use Botox® to reduce muscle activity and smooth out the lines on your face. 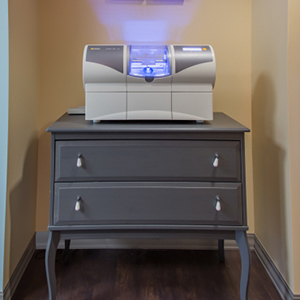 Our qualified team is happy to walk you through the science and safety of Botox®. We understand your life is hectic and fitting a number of cosmetic dentistry visits into your schedule can be difficult. 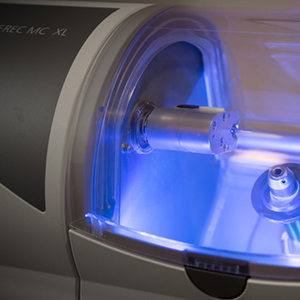 So, to make sure you still receive the same great treatment we offer same-appointment dentistry using CEREC. Choosing a New Cosmetic Dentist? Although it is a big decision, choosing a cosmetic dentist doesn’t need to be hard. 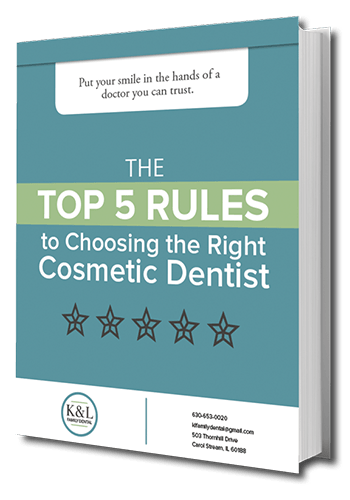 In fact, put aside all anxiety and insecurity, we have got you covered with our new Choosing a Cosmetic Dentist eBook. What should I expect in the initial exam? What type of communicator are they? So, don’t be nervous! Be prepared and walk in with confidence by downloading our FREE ebook today! 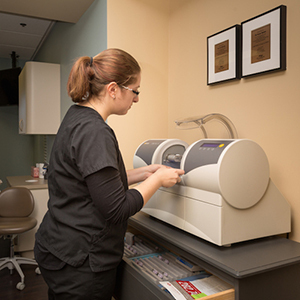 Our smile team can’t wait to help you get started.